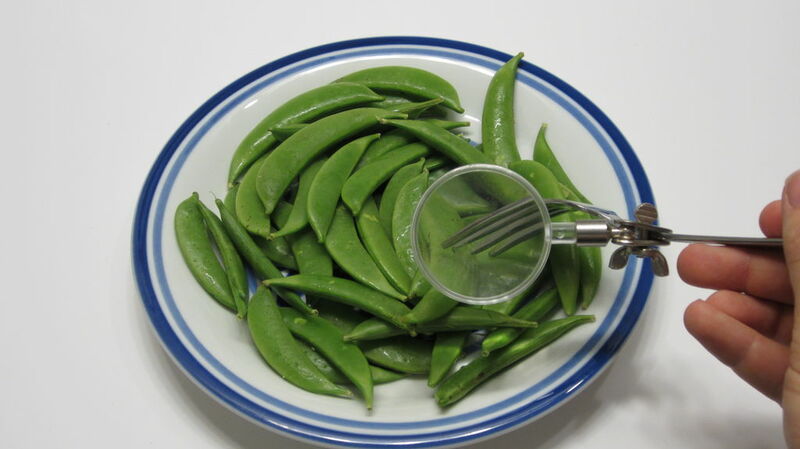 The food magnifier is the ideal tool for those of us who are trying to watch what we eat. Whether you have trouble seeing your food or just want a closer look, the food magnifier brings you closer to your food. It is adaptable fitting on any utensil, even chopsticks. And when you are done examining your food, it can fold back out of the way for easy storage. You may be asking yourself "Wow. How can I get a food magnifier?" Well it's easy. Just go to your local electronics store or hardware store and pick up a Helping Hands soldering tool. Then simply unscrew the attachment with the magnifier and attach it to your favorite eating utensil. People won't be able to help themselves for staring in amazement at your genius. Please use responsibly. You could also use this to heat food.